All because of the fault of a dog chasing after a cat. It is a usual thing that our neighbour's dog chases after their own cat. The cat will jump, run for its life and hides under the car, the dog will keep barking and find its way to get the cat. This usual dog and cat chasing scene has turned out to be a little disaster when the dog ran on the drying cement in front of our car porch. The renovation work is in progress to enlarge entrance and fix the gate for our house. 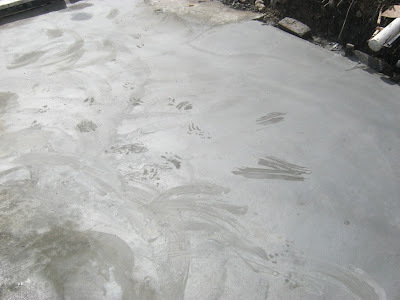 As you can see the naughty dog has left his many foot prints. Our neighbour felt bad about what their naughty dog has done. 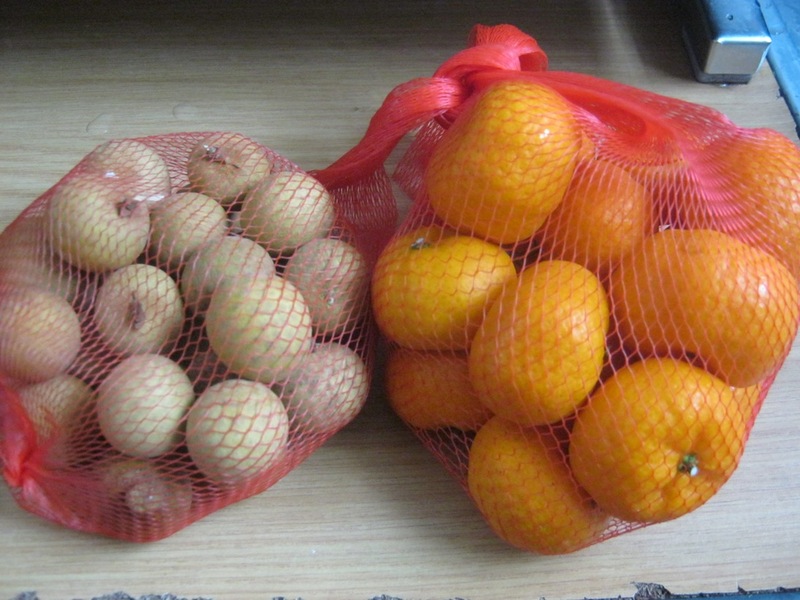 They sent over some longans and tangerines over to us to apologise despite we told them earlier that it is not a problem we could touch it up again the next day. Since they are sincere in sending their apology, it is hard for us to refuse their gift of apology. I can tell you those longans are sweet and juicy, Crystal loves the mini tangerines, I have to stop her from eating too many for reason being that too many will cause one to cough.